Cherry blossoms are blooming fully now! That’s right. Partly right, actually. I’m repeating that sakura has many kinds. 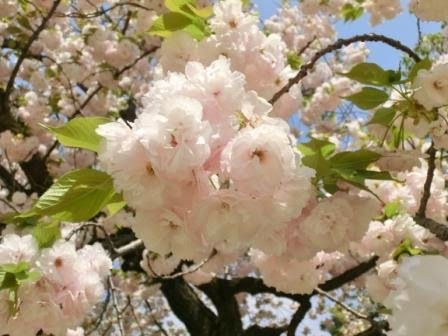 Some bloom earlier than standard cherry blossoms, and there are many kinds that bloom after them. 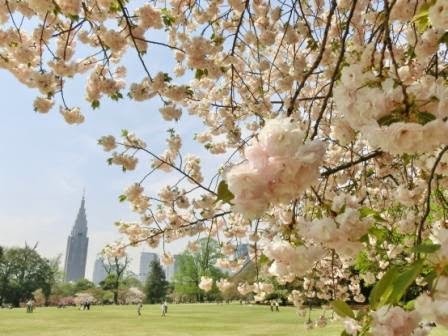 If you are visiting Tokyo for cherry blossoms and feeling that you are too late, don’t regret anything. 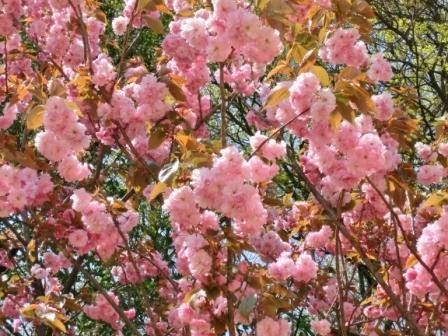 Now it’s the BEST SEASON for late-blooming sakura! Personally I love them very much. Let’s see my lovely photos & where exactly this place is. Enjoy photos more than words! 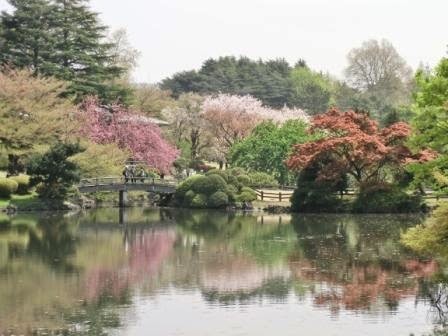 It’s Shinjuku Gyoen National Gardens, which has very large British, French and Japanese gardens located in Shinjuku. It is amazing that some areas are like real forests where birds are singing all the time in the middle of one of the busiest districts in Japan. 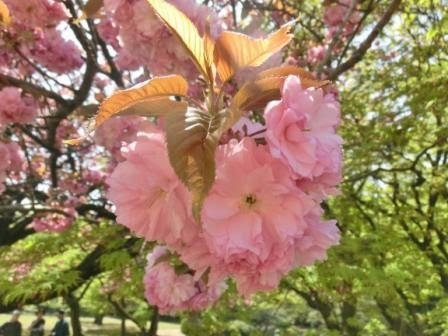 I have written about cherry blossoms there, and said that best season starts in the middle of April there. 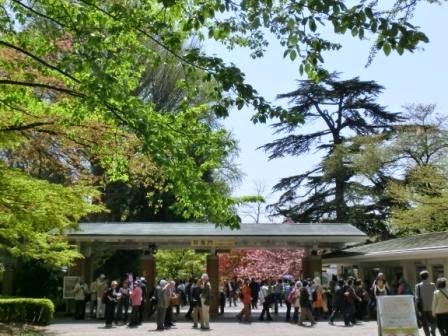 This time, I’m reporting the best sakura season in Shinjuku Gyoen Gardens. 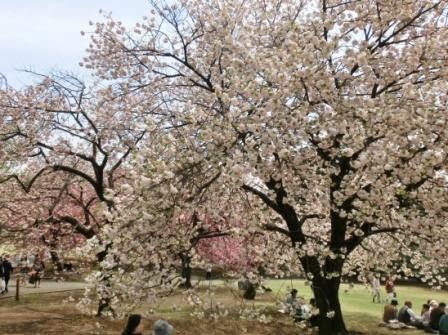 You will see those cherry blossoms soon after entering the gate. I took a photo at the same spot (…almost same) last year. Explanations about bridges are in the old post, cherry blossoms are in this post. Sakura has many kinds, and even late-blooming sakura has many kinds. 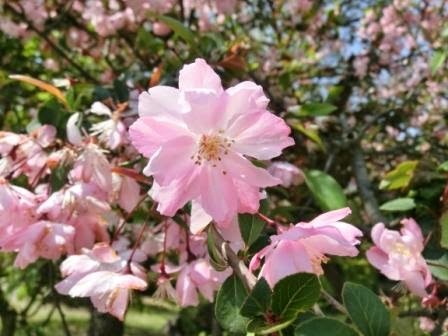 Like these photos, most of late-blooming cherry blossoms have more petals and rounder shapes than standard Somei Yoshino. I especially love the second photo’s sakura. 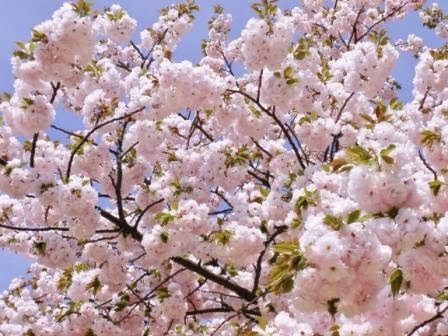 It’s the roundest and cutest in all late-blooming sakura! Who will think that the peak of cherry blossoms has left? They are blooming fully now! 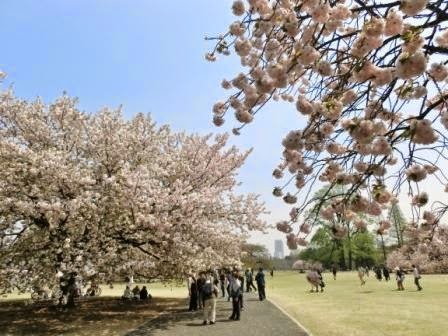 Ueno Park, where Spring Peony Garden is open now, is full of late-blooming cherry blossoms, too. I’m happy if you enjoyed my photos!! Hotels in Shinjuku: You can choose a hotel from a wide range. Shinjuku Station is a hub, so it’s convenient to go anywhere in Tokyo. Moreover, if you plan to visit Mt. Fuji or Mt. 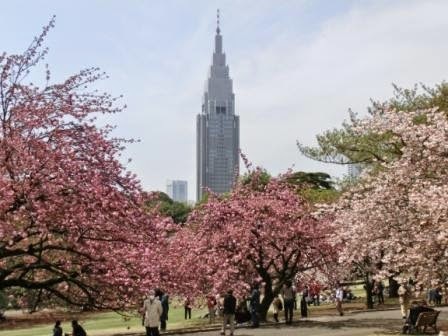 Takao to explore Japanese nature as well as Tokyo’s tourist attractions, Shinjuku is the terminal. 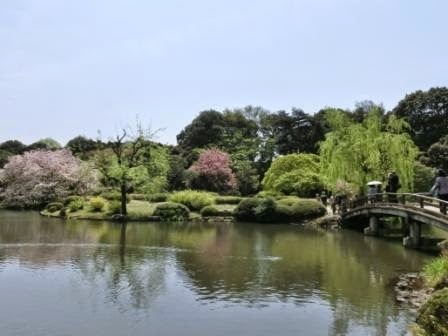 Ueno Sakura Matsuri (Cherry Blossom Festival) – Why You Shouldn’t Miss Shinobazu Pond!